リンク: www.cyclingnews.com - the world centre of cycling. 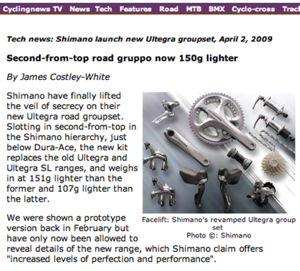 Shimano have finally lifted the veil of secrecy on their new Ultegra road groupset. Slotting in second-from-top in the Shimano hierarchy, just below Dura-Ace, the new kit replaces the old Ultegra and Ultegra SL ranges, and weighs in at 151g lighter than the former and 107g lighter than the latter. 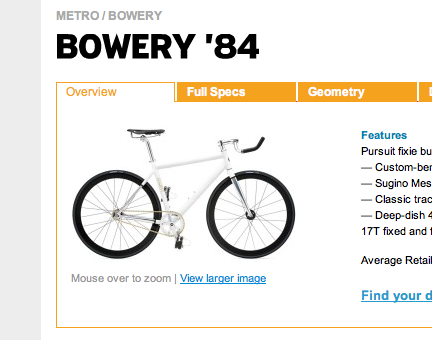 リンク: Giant Bicycles - Bowery '84 (2009). リンク: iPod touch でサイクルコンピュータを作る - テストとか. 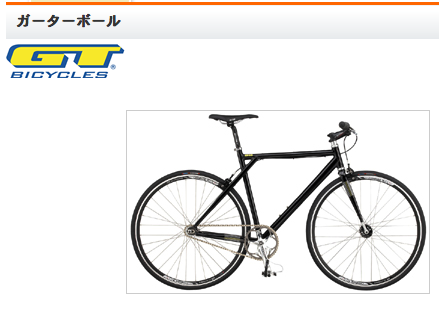 手前味噌なリンク: CYCLINGTIME.com : ピナレロ＆オペラ 2008年モデル展示会レポート. リンク: www.cyclingnews.com presents 2007 pro bikes. リンク: www.cyclingnews.com - Pinarello Prince FP Carbon. 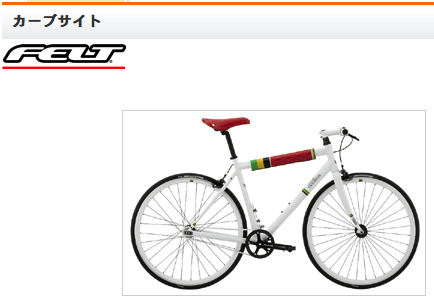 リンク: www.cyclingnews.com - Cannondale SuperSix.